Indivdual training is the key to reach your goals most effectively and efficiently. Our experience brings you much closer to your goal. Would you like to finally learn swimming? Does your kid need help to reach his or her next level? Does your physiotherapist recommend you to swim backstroke or crawl? Or do you rather plan a triathlon competition next summer where an efficient crawl style is more than beneficial? Would you or your child like to benefit from an individual swimming experience? With the help of your private Aqualetics coach, you will conduct the right exercises right from the start. Private courses are taking place in specific time slots during the whole week (Monday – Saturday, 6.00 – 21.30). Please let us know your preferred times and we will look for the best individual offering. You would like to book your private lessons for several months? Of course, you will benefit from an individual offer. Please contact us. We also offer private lessons for groups. Please contact us for your individual offer. You have your own swimming pool or would you like your private lesson in another indoor pool? With pleasure, we make you an individual offer. Please contact us. Are you a competitive athlete? Most of our Aqualetics coaches were themselves performance athletes and have coaching experiences in the field of competitive swimming, open water and triathlon. 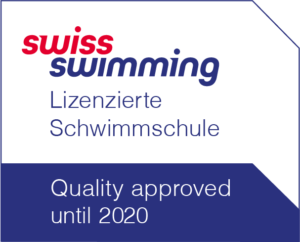 Personal evaluation of your weaknesses and strength and optimizing your swimming skills for CHF 120.00 per hour. Exercises an recommendation for improving your swimming skills based on personal video analysis from CHF 160.00 per hour. Would you like to get an individual training plant to reach your goals (preparation of a competition, weight loss, building up muscles…). Of course, you will benefit from an individual offer. Please contact us. Macro, meso, micro training plan needed? – Please contact us. We offer personal training in the Schwimmhalle Birsfelde, or anywhere else (other pool, private pool, …) from CHF 120.00 per hour. Mit der Absendung dieser Anmeldung stimme ich den AGB, den Datenschutzrichtlinien sowie den Baderegeln zu.